The Baltimore State’s Attorney ruled that the death of Freddie Gray was a homicide. She charged all six Baltimore City Police Officers in the death of Freddie Gray. The charges ranged from 2nd degree murder, manslaughter, criminal negligence, gross negligence, misconduct and assault. She also ruled that the arrest of Mr. Gray was illegal and that the police failed to provide medical assistance to Mr. Gray after he repeatedly had requested it. I had previously wrote that the City of Baltimore Police Department should not of investigate the death of Gray as their own officers were involved in the arrest. The State’s Attorney stated her office conducted their own independent investigation and used outside investigators. This was the correct, moral and ethical decision on her part. Now that these officers have been charged they deserve due process under the rule of law as is granted to any other citizen and the public will have to accept whatever the final result our criminal justice system determines. My belief is that some of the officers will end up “rolling over” and make some plea deals, but that will not be anytime soon. From the outset I have said that the police could be found to be negligent at the very least in Gray’s death if he was not seat belted into the transport vehicle as was reported. We now know that he was not belted in. That was a violation of police department policy, not to secure the prisoner into the vehicle. There is little defense for that. The City of Baltimore has paid multi millions of dollars in civil settlements in the past just for such conduct, the deaths of prisoners because of “rough rides” by the police. The police cannot say they were unaware that type of misconduct has occurred in the past. Mr. Gray’s arrest was illegal according to the State’s Attorney. The police had no probable cause for the arrest therefore it was a false arrest. The knife that has been wrongly quoted by many news agencies as a switch blade turned out to be a legal folding knife in Gray’s pocket and not seen by the police until after his arrest. There was a police supervisor on the scene. Once they determined that there was no probable cause for Gray’s arrest, under the law he should of been immediately released, but this did not happen. Instead the police followed through with the false arrest, refused to call for medical assistance when Gray asked for it and placed him into a transport vehicle to be taken to the city jail knowing they had no probable cause for the arrest let alone the transport. I heard people say that he ran when he saw the police, somehow justifying what happened to Gray. That is nonsense. There is no law that I know of anywhere in the United States that says running is against the law. The police have to have other facts to at least give them reasonable belief that the person running has committed a crime. Unless you are “running while black” in a poor neighborhood, maybe they thought that was enough. 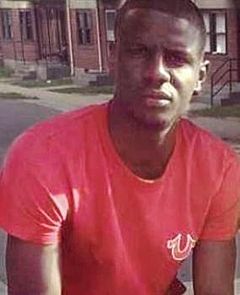 The end result of this tragedy is that Freddie Gray, regardless of what past history he had, was arrested without cause, placed into a police vehicle without cause, denied medical assistance, which by the way was acknowledged by police officials way before today’s charges, and later died of injuries sustained while in police custody. Criminal charges aside, like I said the other day, this will be another civil settlement by the City of Baltimore, this time for police misconduct and negligence in Mr. Gray’s death. I am sad for the family and friends of Mr. Gray. I am also sad for all the law enforcement officers in Baltimore and across the country who do their job with honor and integrity and who respect the rights of the people they swore an oath to protect and serve. Police misconduct and corruption in any form cannot be tolerated. I have come under scrutiny by some because of the articles I write. They call me anti-police. They do not know me. I have always supported the police. I do not support bad cops and those that disgrace the profession. I have always stood up for what is right in my professional career even if that meant going against those in power who thought they were above the law. I heard from one former police officer who remarked that the integrity and moral fiber of the police far exceeds that of the general citizenry. My answer to him is that the police are the general citizenry. If some police officers think that they are superior to the citizens they protect they need to find another profession. Those few, with that way of thinking, are the problems in law enforcement. was enough.” The fact that someone would run from the police in a high crime area is enough reasonable suspicion to detain. I don’t know if you have ever been to the west side of Baltimore but it IS a high crime area with a rampant drug problem. I’m not saying that the actual arrest was legal, that’s what a court will decide but the chase and detention was 100% legal. I love all these “experts” like the author, who thinks they know everything. He may want to read Illinois v Wardlow US Supreme Court ruling. It was a ruling issued in 2000 but the author was probably out of law enforcement by then since he was “Investigator of the year” in 1986. From a county that, at that time, probably had a higher population of farm animals that people. In the Wardlow case the officers saw him fleeing from a known drug area with a bag in his hands, which when stopped had a weapon inside. The weapon was the probable cause for the arrest. The Baltimore State’s Attorney stated there was no probable cause for Gray’s arrest. In the Wardlow case the Justices specifically cited, “If they (the police) do not learn facts rising to the level of probable cause, an individual must be allowed to go on his way. In the Gray case we know that did not happen. And by the way. We had crime in our county including a significant narcotics problem. I also spent 18 months sworn in as a special Virginia State Police Officer when I was assigned to the Northern Virginia Regional Narcotics Enforcement Task Force. I have had plenty of law enforcement experience in my life, almost 18 years and another 20 years working in the private sector cooperating with the police in hundreds of investigations. Obviously my article touched a nerve with you. Sometimes the truth hurts. In either case there is no reason to be condescending and impertinent. Debate in this country is not against the law.